Maharashtra, the land of Peshwa and Marathis, has very rich culture which is reflected through its attire, jewellery, art, forts, and caves. 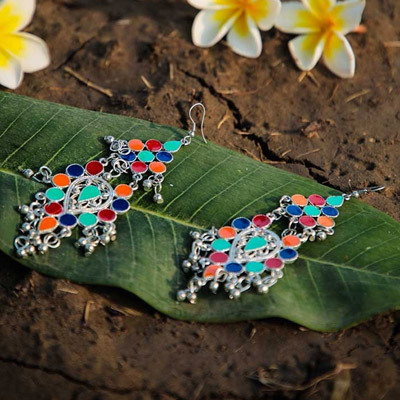 The clothing and jewellery of Marathi people are inspired by the colourful rituals and traditions of Maharashtra. 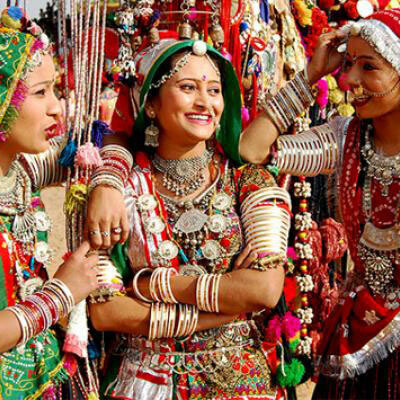 Here’s everything you need to know about the traditional Maharashtrian attire and jewellery. Marathi women wear 9 yards long saree known as the Nauvari or Lugade saree. 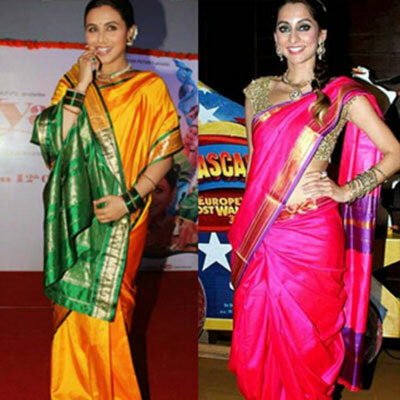 Maharashtrian Nauvari sarees are usually made in green, red and Kesari (yellow) colours. It is either made in cotton or silk and is worn without a petticoat. 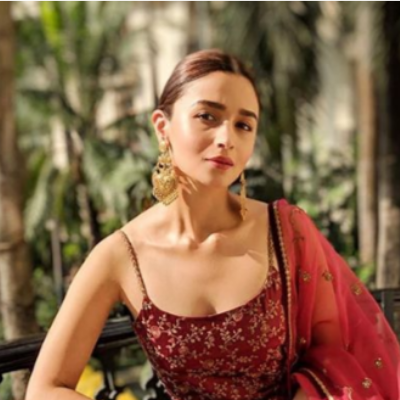 It is worn with a short-sleeved blouse called as the Choli. A nauvari saree is usually worn by Brahmin women of Maharashtra. It is usually draped in two types. Worn without a petticoat, this type of draping is inspired from the Peshwa women. Unlike regular Indian sarees, Nauvari saree is tucked in the middle of the back. The ends of the saree are wrapped around the legs to give it a trouser-like look. These ends are then draped around the shoulder and the body. For the Koli drape, the Nauvrani saree is cut into two halves. One piece is wrapped around the waist and the other one is tucked at the upper part of the body and pulled over the head. Nath (a nose ornament) is adorned by Maharashtrian women at weddings, religious ceremonies, and family functions. 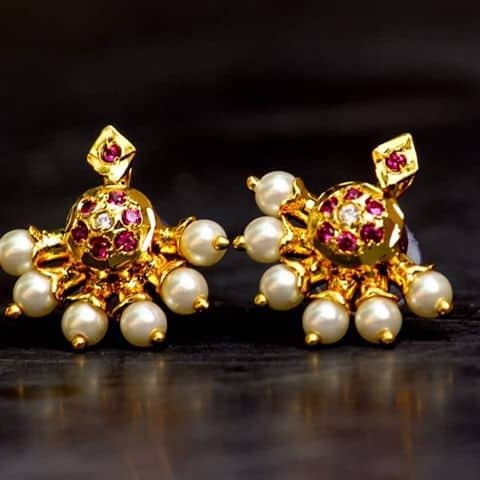 Crafted with pearls, a typical Maharashtrian Nath has pink or white stone in the middle. It is different from other nose pins worn in different Indian regions. 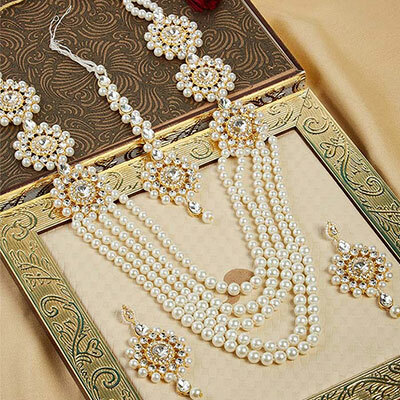 A Nath is an important part of bridal jewellery in Maharashtra. There is one more type of Nath famous in Maharashtra which is, Brahmani Nath, popular for its basra pearl and emerald. It is crafted in 22-karat and has an uncut diamond surrounded by rare Basra pearls. Rubies and green emeralds that have been famous since the Peshwa rule are used to give it a pop of color. Mundavalya is a string of pearls, tied horizontally across the forehead and is adorned by the bride as well as the groom. 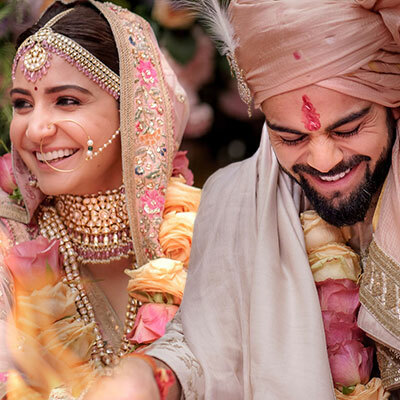 The mundavalya symbolises that the bride is ready to get married, therefore it is tied after the bride is ready to walk to the mandap. 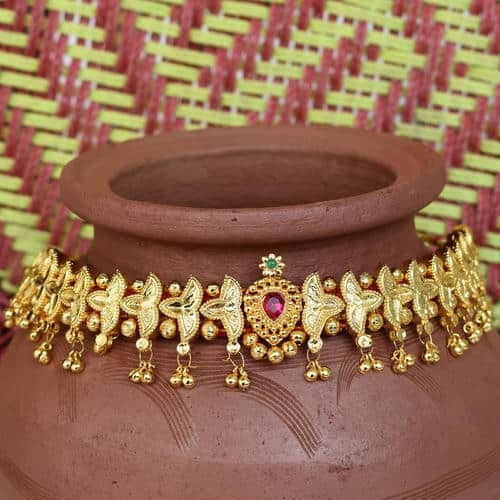 Thusi is a 22-carat gold choker style neckpiece, worn as a part of bridal jewellery in Maharashtra. It was originated in Kolhapur. 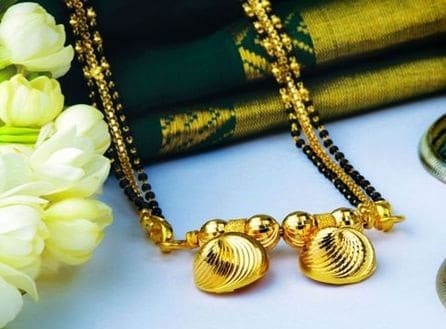 It is crafted with gold beads and comes with an adjustable dori (thread used to tie the necklace around the neck). It has jowar gold seeds in it which indicate that the bride’s new home will always be blessed with food. 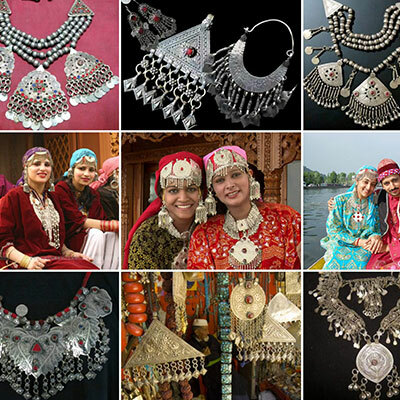 The Kolhapuri Saaj is a necklace and has 21 carved leaves. 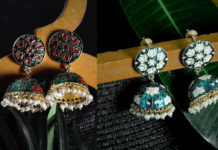 Out of the 21 carved leaves pendants, 10 pendants represent the ten avatars of Lord Vishnu, 2 pendants have ruby & emerald stones, 8 pendants depict ashtamangal and the last pendant is taviz. 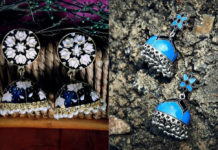 The 8 asthamangal pendants symbolized happiness and prosperity. Vaaki is an armband or baajuband. Embellished with stones, it is crafted with 23-carat gold wire. 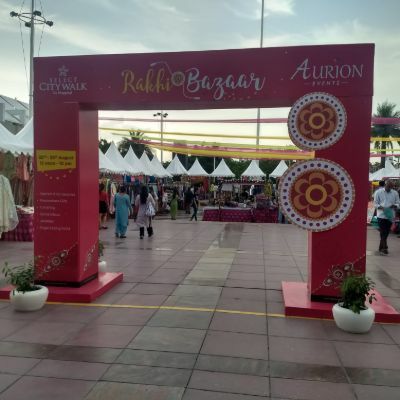 At the centre, it has a ruby-set floral motif. The red colour of Ruby is seen as auspicious for the Hindu brides. Putli Haar has a few round gold coins held together on a silk braided cord. 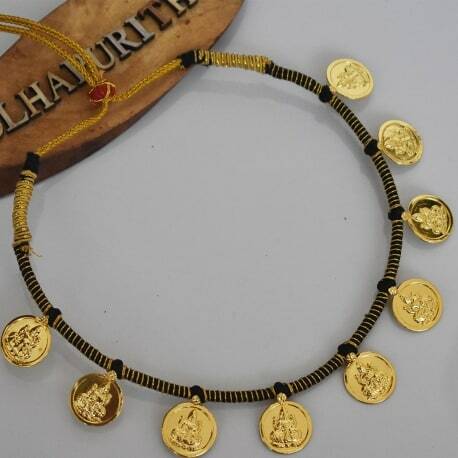 It is also known by the names of Coin necklace or temple necklace. The coins are embellished with the motifs of Goddess Lakshmi (a symbol of wealth). 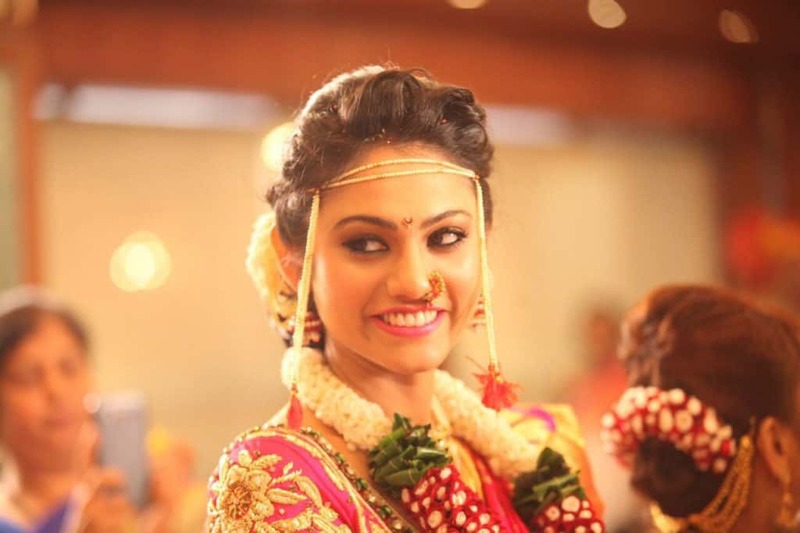 Putli Haar is adorned by Maharashtrian brides. 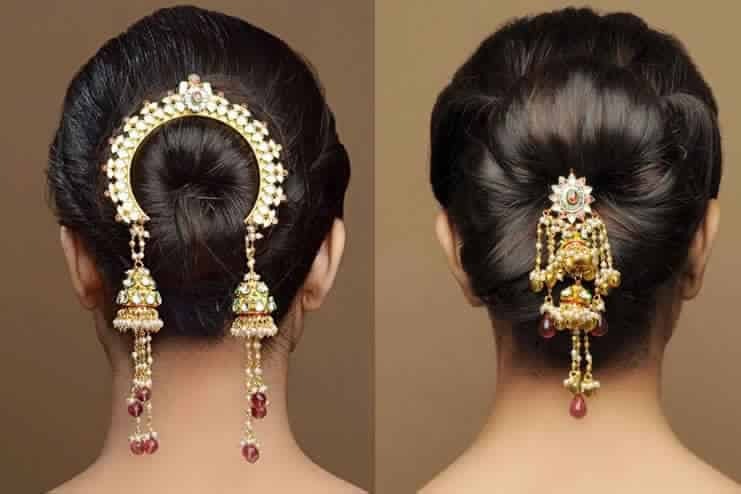 Ambada is placed on the hair bun of a Marathi bride. The most popular motif used in this traditional jewellery piece is the sunflower with jowar beads. It is made with the use of 150 years old die. These are the pearl studded earrings adorned by a Marathi bride. They are crated beautifully in a number of color combinations. Made of 23 Carat Gold, Tode are the Gold bangles or kadas. 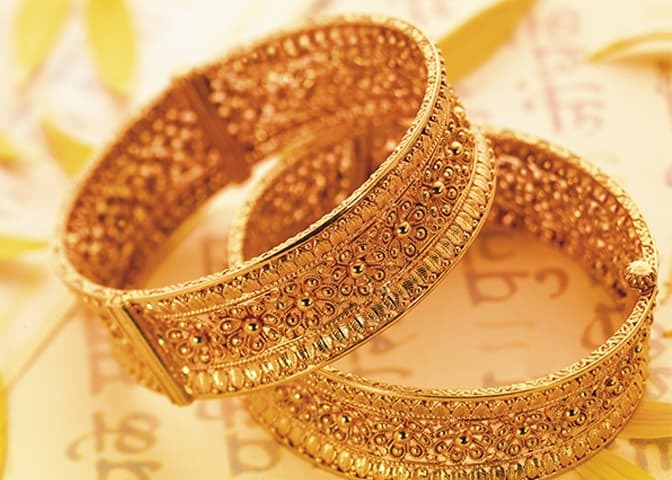 Each bangle contains 250-300 gms Gold. Handcrafted with intricate work and utmost precision, these beautiful bangles take almost a month to get ready. 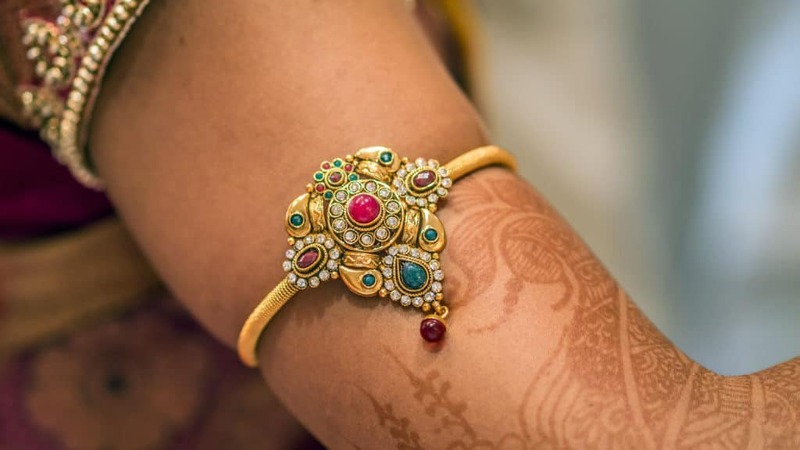 Chooda are the glass bangles adorned by a Maharashtrian bride. Unlike the red colored chooda worn by Punjabi brides, Maharashtrian chooda is green in color. Green symbolizes fertility and prosperity. 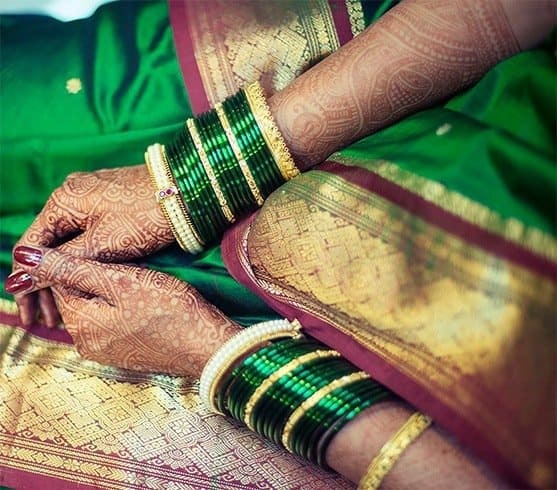 These green bangles are worn in odd numbers in both the hands. Belapan is crafted with intricately done bel leaves, which are believed to have religious meaning and are offered to Lord Shiva as a tribute. 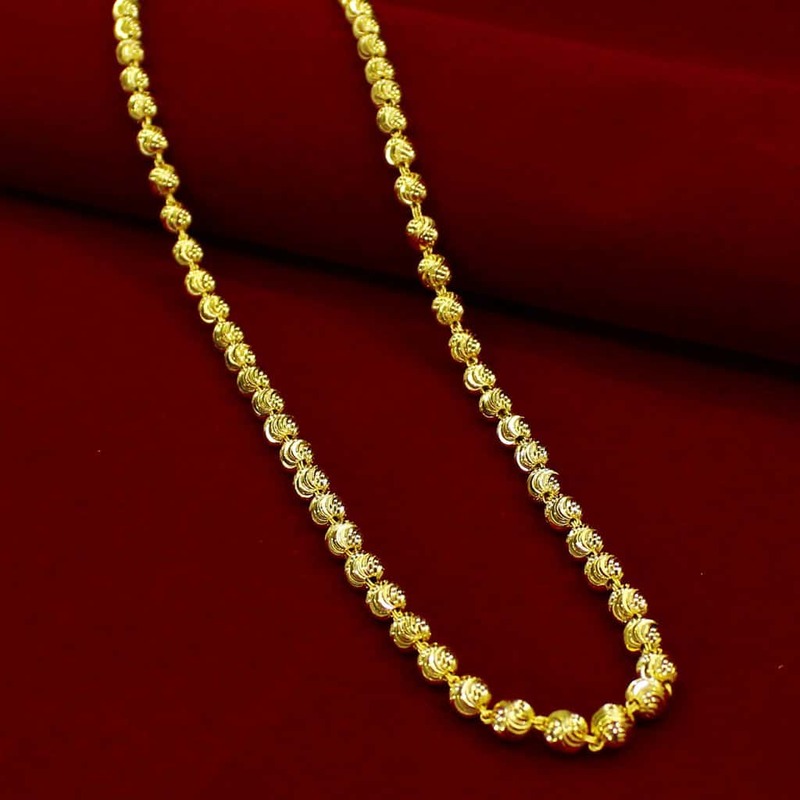 Mohan mala comprises of round gold beads crafted elegantly in 2 or 3 layers. It gives a subtle sophistication to the overall look of a Marathi woman. A tanmani is a layered pearl choker necklace in which the pearl strands which are attached to a stone studded pendant. A jodvi is silver toe ring, given to the bride by the mother-in-law and symbolises the bride’s entry into a new household. 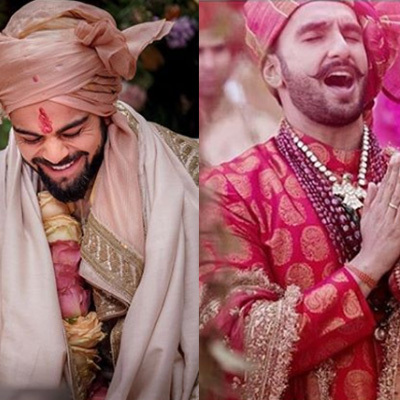 It is a must-have jewellery piece for a Marathi wedding. 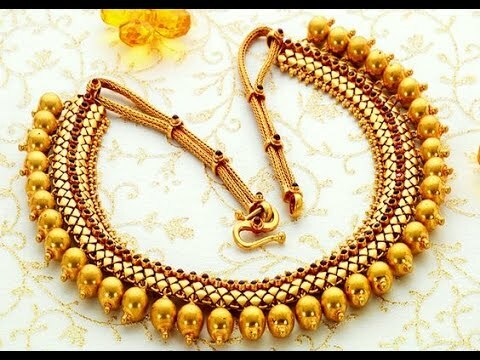 Made with the traditional strands of black and gold beads, Marathi Mangalsutra (sacred thread) is an important part of Maharashtra jewellery. 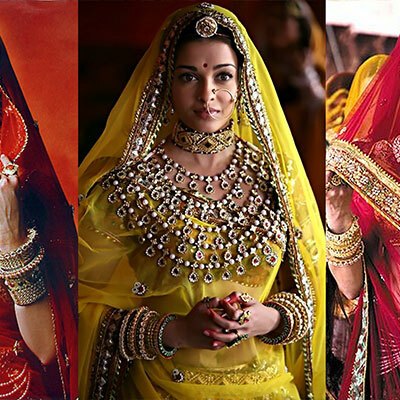 Which type of Marathi jewellery did you like the most? Drop comments and let us know about your favorite pick. 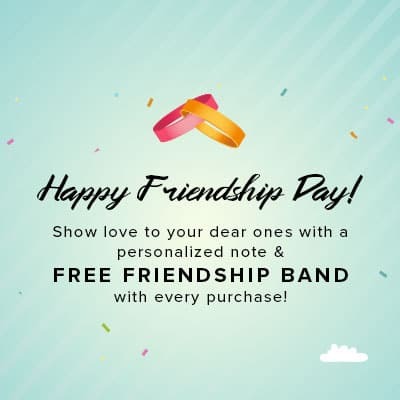 10 Beaded friendship bracelets to gift this Friendship Day! ZeroKaata went offline at Select City Walk!